We have changed the quotation of GG-E600 horizontal wrapping machine( added one sensor, conveyors’ length-1.5m, stretch film width -300mm), please see the attachment. Im sorry to tell you, the speed of this machine is 14-20sec/pcs. Because the delay, soft start/stop, stretch film cutting and loading need to take 10-12 seconds. If choose this horizontal wrapping machine, you might need two sets to keep your production line running. The stretch film will be melt by the heat cutter instead of being cut mechanically. If we use this cutter, there will be no delay and stop, the speed will be 7-8sec/pcs. The price of this machine will be xxxxx usd. Thanks for the information you gave. According to your requirement, we chose to quote you with our E600. This machine has infeeding and outfeeding conveyors which are powered by motors. 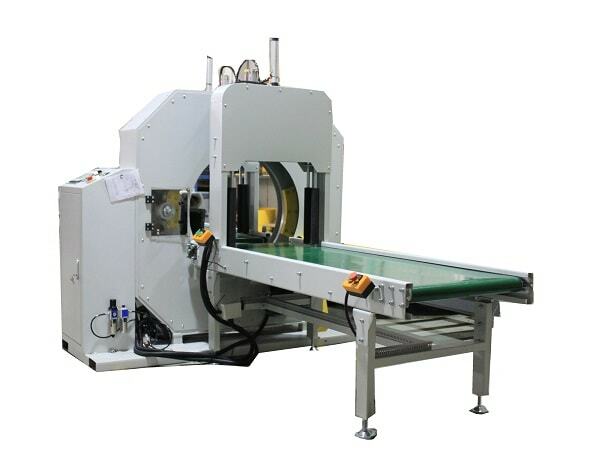 And the automatic cutter in horizontal wrapping machine will cut and load the packaging material automatically. Furthermore, due to the small weight of your products, we have to add the special press down device for fixing the panel when the machine is working. Our press down device has used springs and soft material in order to prevent your product from scratch and deformation. The calloy tools series of PCB drills just here and routers are manufactured on proprietary devices. designing the highest level of drill product quality. The carbide indexable-tool.com with cutting tool information and news.